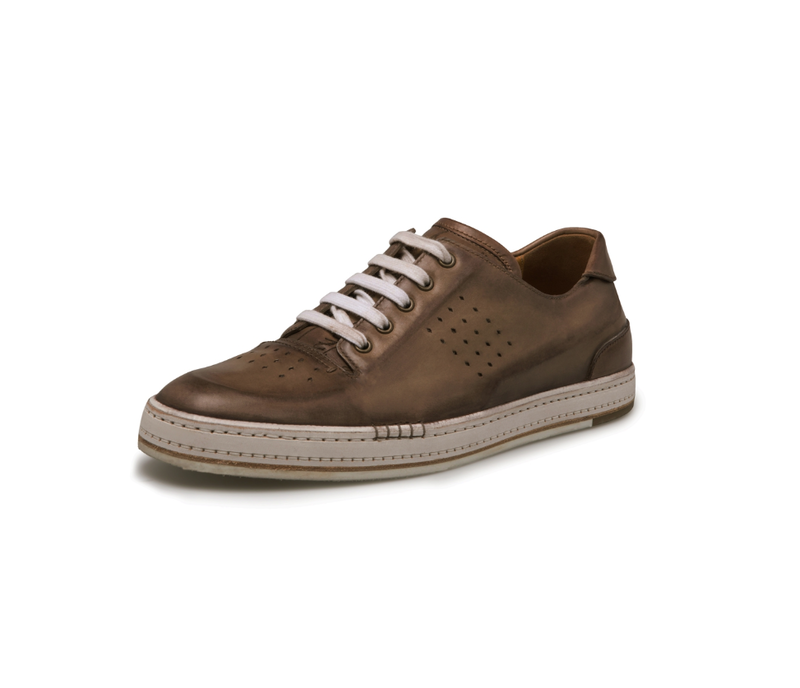 French-Italian shoemaker Berluti have created a low-cut sneaker made in the spirit of a bespoke shoe out of a single piece of Palermo Venezia leather, ensuring enhanced comfort and durability. A great and unique statement on style and versatility this summer. This shoe comes in three colors; 'Savana' (pictured above) 'Purple Multico' and 'Mimosa'. Other patina options can be ordered on request.